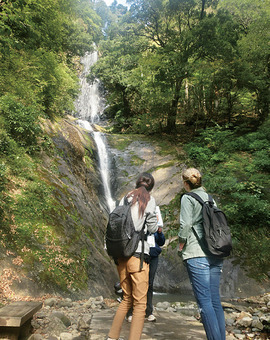 "Saruo-daki" consists of an upper and lower waterfall. The name is said to have been derived from the lower waterfall's monkey tail like shape. 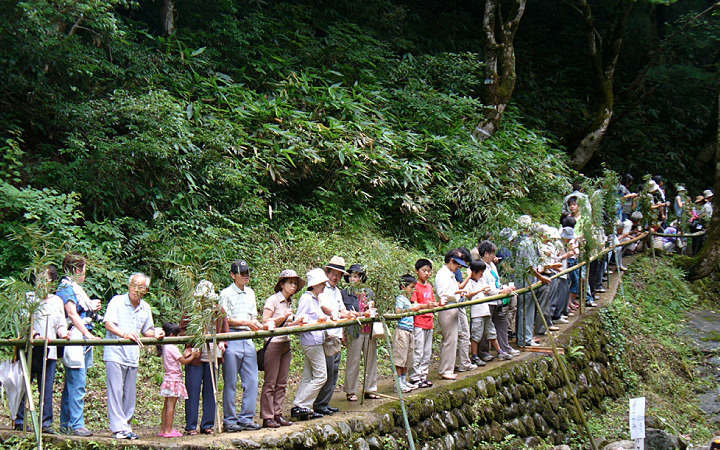 You can see the stone Buddhist image which was naturally-shaped. 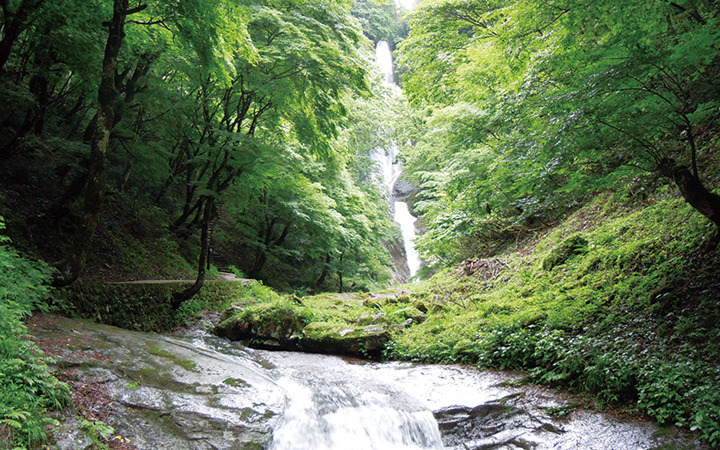 It was chosen as one of Japan's top 100 waterfalls. It is also famous for the beautiful colored leaves. It takes 2 or 3 minutes from parking lot to the waterfall on foot. 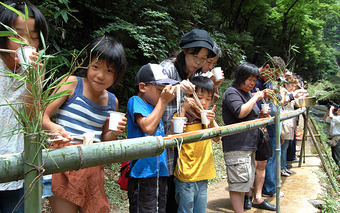 Every July there is a festival called the Saruodaki Fetival, in which somen noodles are made to flow down pieces of bamboo.